Mike joined the PolyMet board of directors in July 2017 and serves on the Technical Steering, and Health, Safety, Environment and Communities committees. 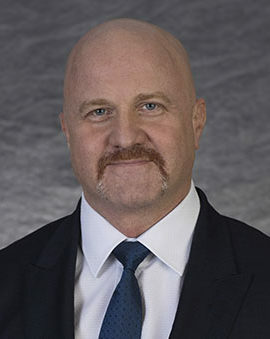 Mike began his career at INCO Ltd in Ontario Canada, later joining Phelps Dodge Mining Company, which was subsequently acquired by Freeport-McMoRan, where he served in various operations positions of increasing responsibility in the U.S., Chile, The Netherlands and Democratic Republic of Congo. He served as director of project development in Africa, general manager of Miami Operations in Arizona, and president of Freeport McMoRan Africa before joining Glencore in 2014 as head of copper operations in Peru. He is currently responsible for Glencore’s copper smelting and refining operations. Mike holds a Bachelor of Engineering degree from McGill University in Quebec, Canada and an Master of Business Administration from Western New Mexico University. He resides in Arizona.